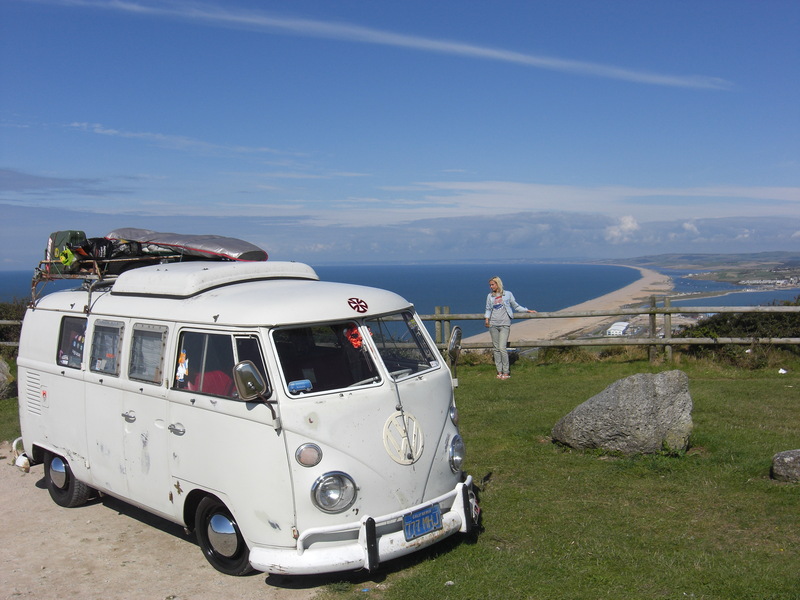 A new holiday for a new rOadtrip.. One in fEar AnD LoaThing stYle to England, through Devon and Cornwall.. I left on a thursdayeve around 8pm towards Calais to catch the ferry into Dover.. At 5.30h in the morning I arrived at Lucy’s place in Guildford, a good rest was needed and so we left just after lunchtime.. The rough plan was to start somewhere near the New Forest and finish at Land’s End and just within a week as next thurday we had to catch the ferry back home.. This is an idea of the route we took, we visited the places which are marked with a star. *Guildford *New forest-Lyndhurst *Milford on sea Christchurch Bournemouth Poole Weymouth *Isle of Portland (slept) bridport Lyme Regis Honiton Exeter *Plymouth Liskeard *St Austell (eden project) *charlestown *Newquay *Perranporth (slept) *Porthowan *Porthreath *St Yves *Morvah (slept) *Cape Cornwall *Sennen Cove *Land’s End *Pothcurno *Mousehole *Penzance *Marazion (slept) *Praa sands *Porthleven *Helston *Mullion (slept) Truro Bodmin Launceston *Throwleigh (dartmoor national park) Exeter Honiton Andover Basingstoke Staines Sevenoaks *Maidstone Dover and back to Calais & home.. Enough of the talking, here’s the footage! First stop was at the outdoor reptile park in Lyndhurst. We saw, as do many people say, wild horses running around..
Milford on sea, nice place. where we had a nice meal.. In the morning it looked like this.. Towards Charlestown where we tried to visit a castle but unfortunately it was closed. Took a little visit to a small town called Porthpean. A bit later we ended up in a very dark and juicy 🙂 track to spend the night and had a BBQ.. It looked like this in the morning..
Back on the road and driving along, sometimes through very small roads with quick turns which was quite scary if you’re not used to it as you can’t see oncoming traffic. The guy from the red van was somebody who was travelling around a few months every year, getting a bit of cash by busking on local events.. cool dude and gave us some hints.. The Eden project in St Austell, the world’s largest greenhouse, inside the domes are thousands of plants collected from all around the world, truly amazing..
And then all of a sudden we spotted this..
An SO23 that was placed by classic VW restoration..
Off to Newquay, known as one of the most popular surfspots in England, obviously I had to find out why, and I was lucky to get some nice waves! Fueling some courage to withstand the cold sea!! One of the first (and many) splitty’s we came across to! That night we went to Perranporth where we saw another splitty..
We drove a bit further and took a much needed shower..
We then continued our trip and passed Porthowan and Porthreath and arrived in St-Yves. And a very cool early kombi, that was slammed on it’s nuts, how he managed to get around in the little villages was a big mystery to me as i scraped my bus numerous times and his was far lower than mine..